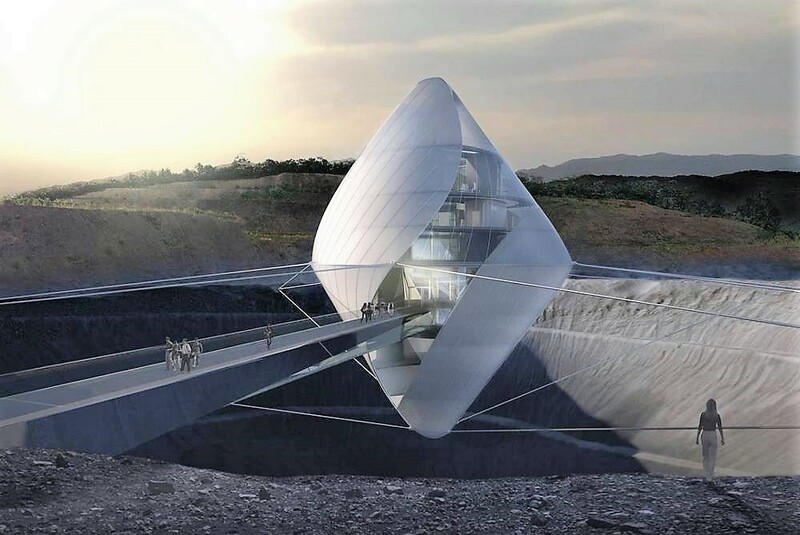 Clouds Architecture Office unveiled a design for a floating space research lab, above an artificial crater in Oita, Japan. 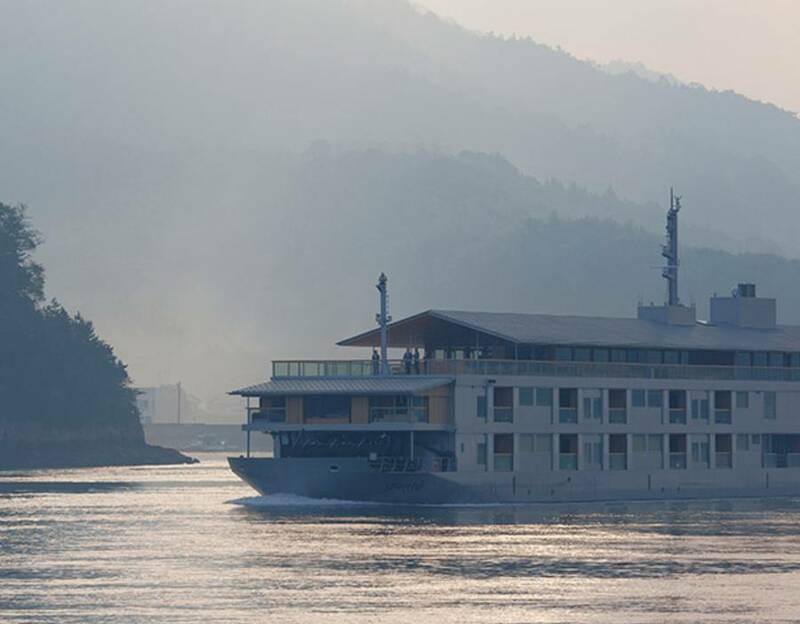 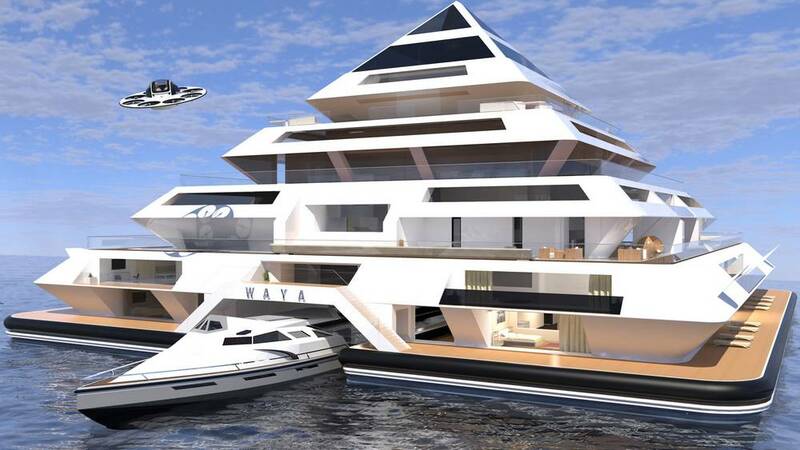 Guntu is a luxury floating hotel traveling Japan’s islands. 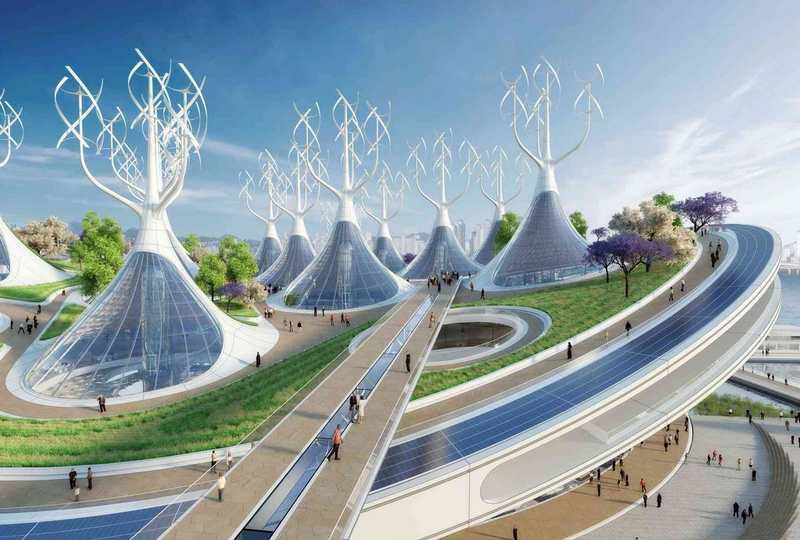 No longer science fiction. 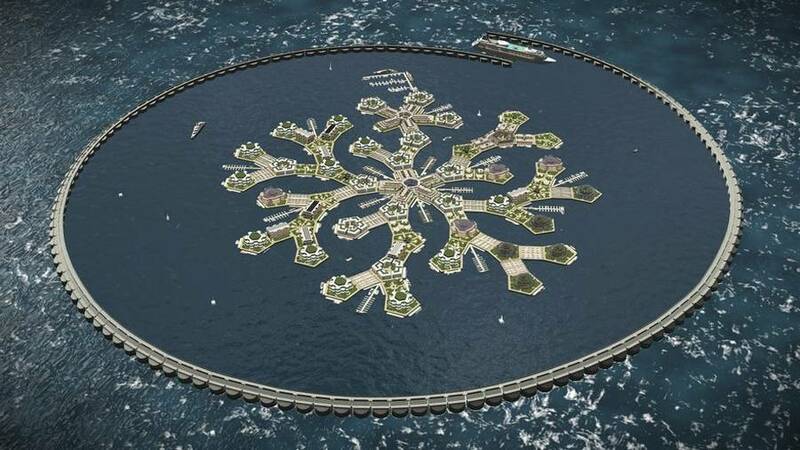 World’s first floating nation to appear off the island of Tahiti in the Pacific Ocean, in 2020. 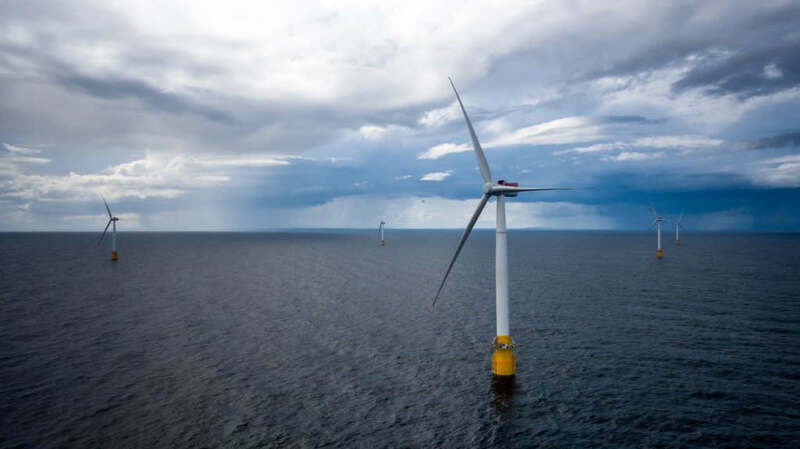 World’s first floating wind farm just started production. 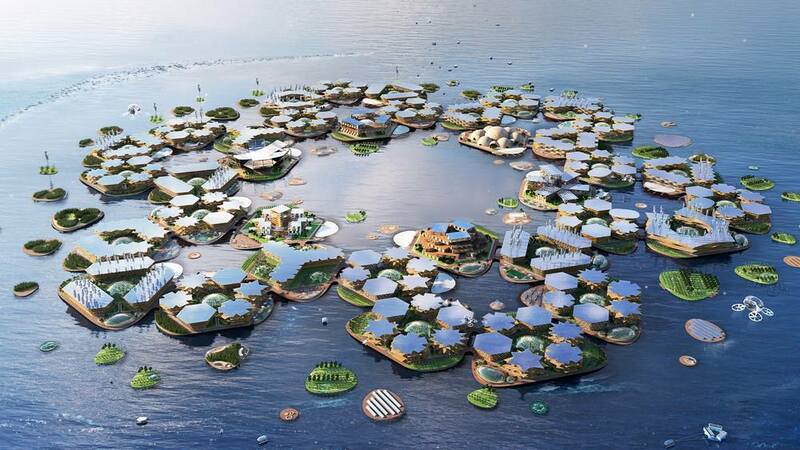 The giant floating Manta Ray-shaped Ferry Terminal for Seoul, uses marshland plants to naturally purify the Han River. 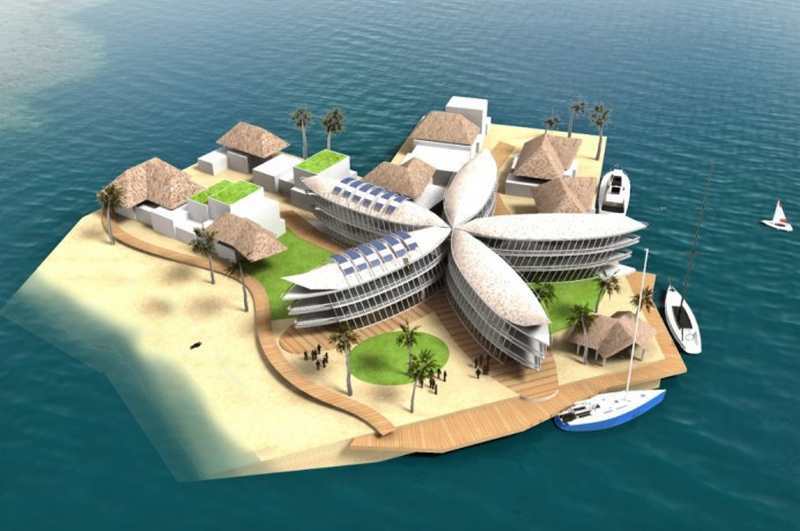 World’s first floating city to rise off French Polynesian on the Pacific. 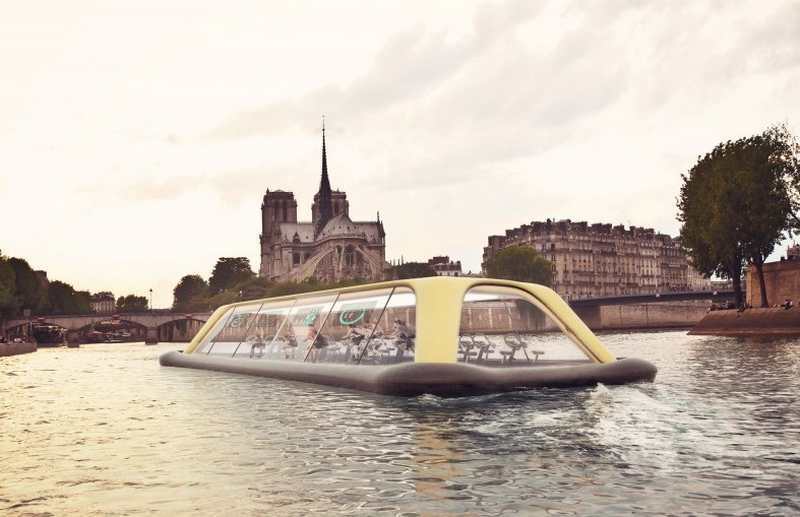 A floating fitness vessel that moves along the Seine River by harnessing energy from passengers’ workouts.